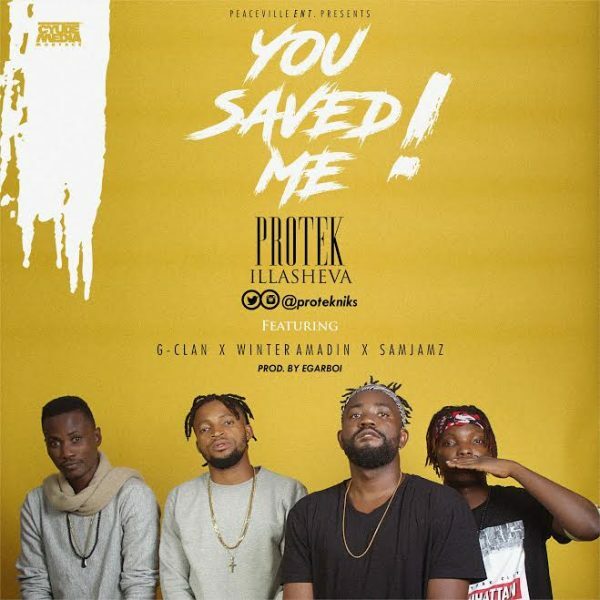 As he gears up for the release of his EP “Tales Untold” Protek illasheva enlists Samjamz, G-Clan and Winter Amadin on “You Saved me“, the first single off the EP. Produced by Egar Boi, “You saved me” is best described as a heart full of gratitude over a dope beat. And I’m gonna shout it loud. There’s nothing I can do without you! Oh my Lord you saved me.